One of the hazards of free range ducks is that predators do take a few. 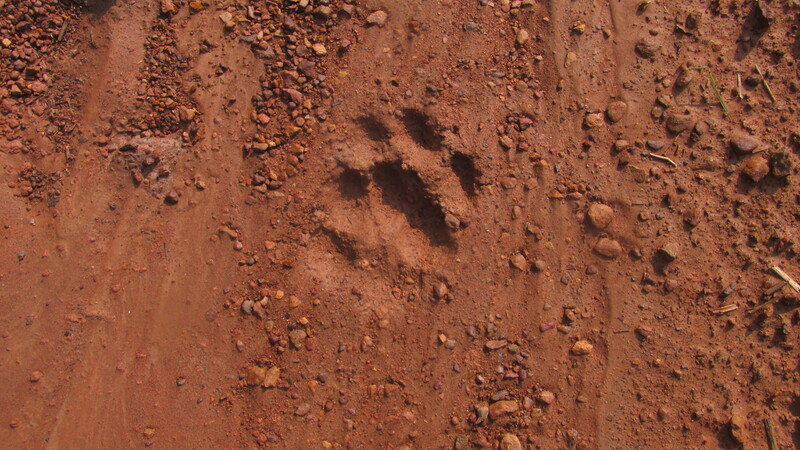 One soggy wet morning, I noticed this red fox track in the muddy road below the duck pond, and I thought nothing of it. Around the flashing predator guard lights that run all night and have, thus far, kept the bobcats, coyotes, and foxes from taking any ducks. The lights are just too disconcerting for most animals to deal with. But I didn’t notice that the wind had blown the light facing the muddy road in such a way that it now pointed toward the pond, and without the light flashing all night, the fox saw its opportunity and nabbed a Rouen drake. All that was left were a few gray feathers. Still, this drake lived a far better life on the pond that it would have had in a high-volume commercial duck farm. He had plenty of snails and worms to eat, deep water to swim and bathe in, and the sun and rain on his feathers. The other ducks have learned that there are things in the bush that will take your life, and I’ve learned that predator guard lights need to be checked, especially when the tracks of foxes or bobcats start to appear. 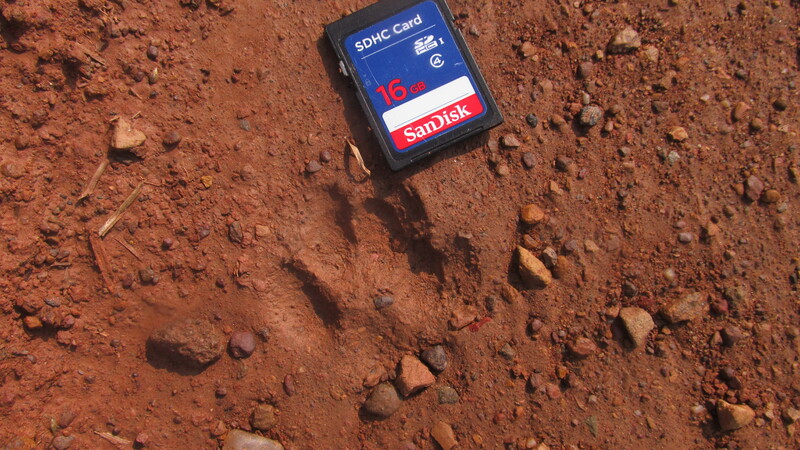 If you’re interested in how I know that this was the track of a red fox and not a gray one, I’ll explain. Red foxes have an odd-shaped foot, which is almost like a canine “hoof.” All the toes do what they can to form a circle, and the metacarpal pad is the same size or smaller than the digital pads. 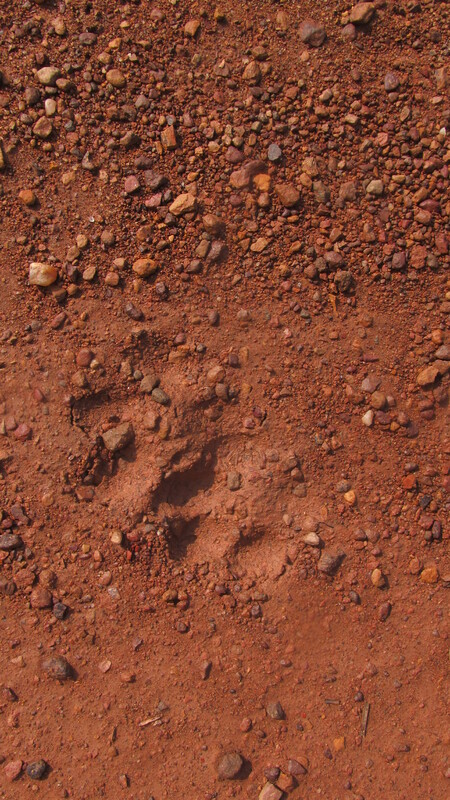 A gray fox has a track that looks like that of a small coyote. The middle toes are pointed out more on the front feet, just as they are in coyotes. The difference is that a coyote will be much larger than a gray fox. 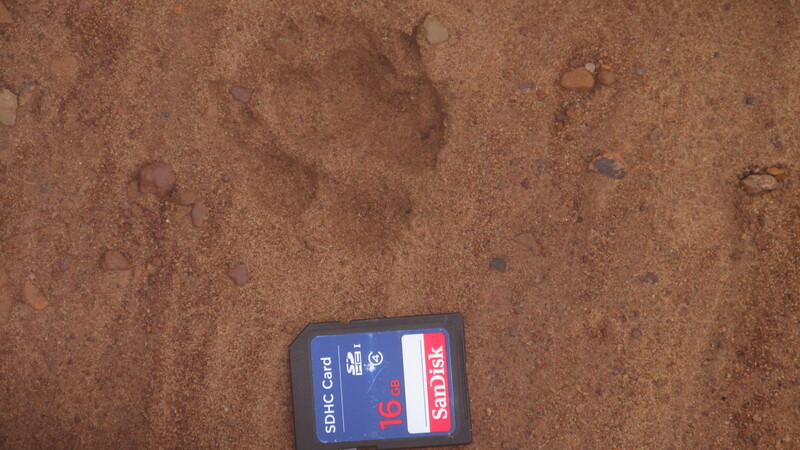 Here’s a blog post where I have some photos of a series of gray fox tracks, and I am posting a few red fox track photos at the end of this post for comparison. Keep in mind that these two species are not closely related. A gray fox isn’t at true fox at all. It is actually the last survivor of a canid lineage that split off from the rest of the dog family 9-10 million yeas ago. It’s just that when you look at a gray fox, it’s hard to think of it as being anything other than a fox. Long story short: the ducks vanished one by one, with some feathers and battle signs left each time. My dad took the last 2 ducks home in a secure cage (big one) in the barn (they were not easy to catch, that’s why he didn’t do it earlier). I think they escaped several times… in any case the fox got them all eventually. A eerily similar story, just with chickens: once I worked on a farm that was emptying a big egg laying facility. I was allowed to take all the chickens I could catch (of the ones that had escaped the facility), and brought around 7-8 chickens home to my dad. They were allowed to roam freely, and lived a happy but not very long life, mostly courtesy of the fox, albeit some of the last were slaughtered to get them before the fox did. The last chicken preferred to be around people all the time, and would go into the house if the door was home.It survived several years, but eventually the fox got her, leaving just the usual feathers & battle signs. To be fair I’m not sure how they could know it was the fox all the times.